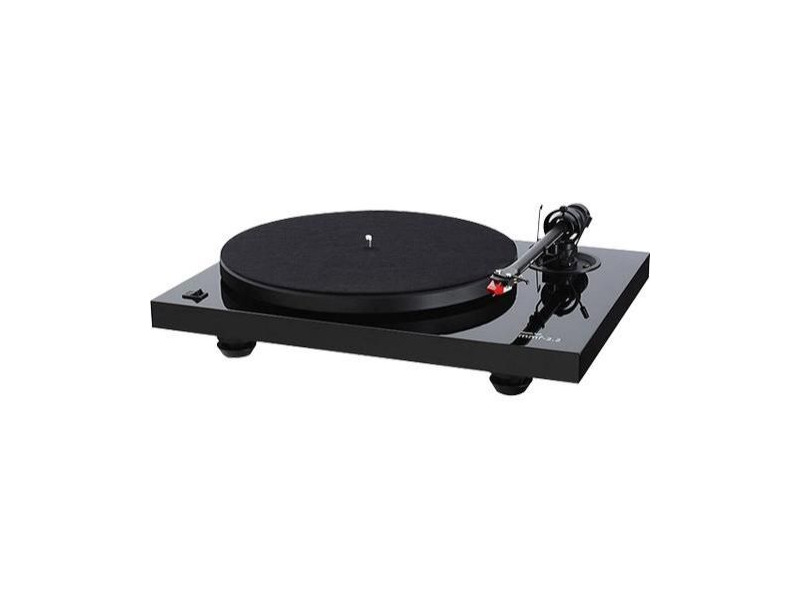 The music hall mmf-2.2 turntable is a 2-speed belt driven audiophile turntable at a budget price. It is constructed using high quality components and it comes complete with an arm and cartridge. The construction of the mmf-2.2 has been simplified to focus on the critical components; the bearing, the motor, and the arm. It comes complete with cartridge mounted. Engaging sound; particularly good at rock. Crisp and direct. Downside is the cartridge it comes with the MH Magic II the underbelly of the cartridge scraps against the record if you apply the recommended tracking force. I checked the TF with my own cartridge scale and it is dead on to the markings on the weight knob. I took advantage of this table due to the fact that there are many upgrades available as well as the simple and fully manual design keeps the cost low and the sound quality high. I am currently using this table along with the Pro-Ject Speedbox, and the Pro-Ject Phonobox preamp. I purchased the acrylic platter upgrade at the same time. This table references extremely well, especially with the stock cartridge. It is a snap to set up, and tracks perfectly. Pros: Excellent build quality and sound quality for the money. A perfect option for somebody just looking to dust off their vinyl collection and give it a listen. In addition to this, the upgrade possibilities are endless catering to the audiophile who wishes to tweak his system. Cons: I'm sure you could find some if you tried to compare it to a $1500 table. I guess the only thing that bums me out with this table is the fact that the interconnect cables are fixed to the tonearm and cannot be upgraded. However, with that being said, the cables it comes with are fairly high quality and well shielded. Throw away the power cord it comes with and order a Speedbox! Whether you have the need for 33/45 or not, the speedbox is a huge upgrade to the table's power supply and you will hear the difference with a much more stable platter speed. Especially on the higher frequencies.